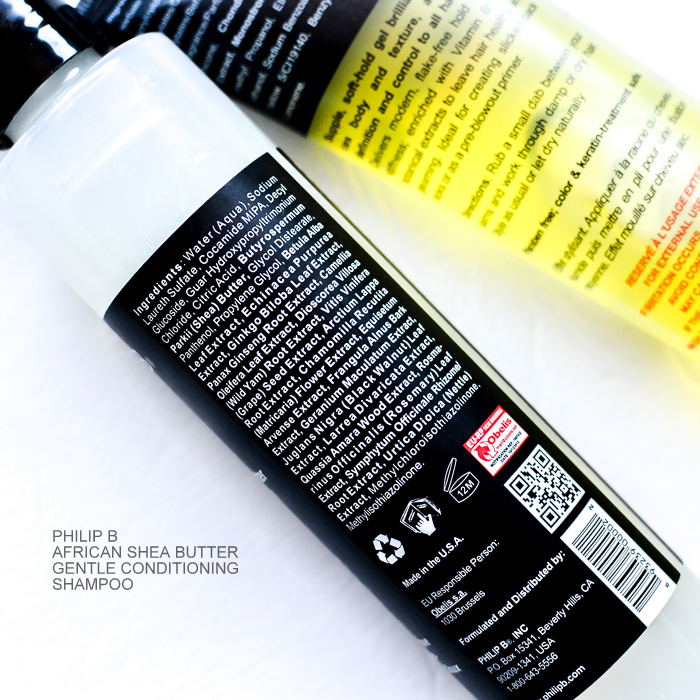 Philip B is a brand I am quite new to, and I recently got to try out two of their products - the African Shea Butter Gentle Conditioning Shampoo and the Philip B Styling Gel. I color my hair, and it's also naturally quite dry and frizz-prone, so I have to be extracareful about the products that I use. The Philip B African Shea Butter Gentle Conditioning Shampoo is a truly gentle shampoo that works best best as a daily shampoo, working great at freshening and cleaning hair without leaving it feeling dry, and it does not strip the scalp of any oil. It is quite mild and best used on fine hair and/or hair that isn't very dirty - and it is marketed as a daily-use shampoo which it's perfect to be used as. I do have to follow this up with a conditioner, though, on the ends of my hair where it's most dry. Also, I would use a clarifying shampoo once in a while to give my hair a good squeaky clean and get rid of any product buildup. The Philip B Styling Gel is, of course, a gel with a mild pleasant scent to it. It gives a light hold without leaving hair looking greasy or too stiff. I have naturally wavy hair and occasionally like to add in some loose curls to my hair. I like to use this gel to add definition to and hold the curls better through the day as well add a bit of texture to my hair. This is a good pick if you are looking for a lightweight formula that doesn't leave hair feeling too stiff or crunchy. 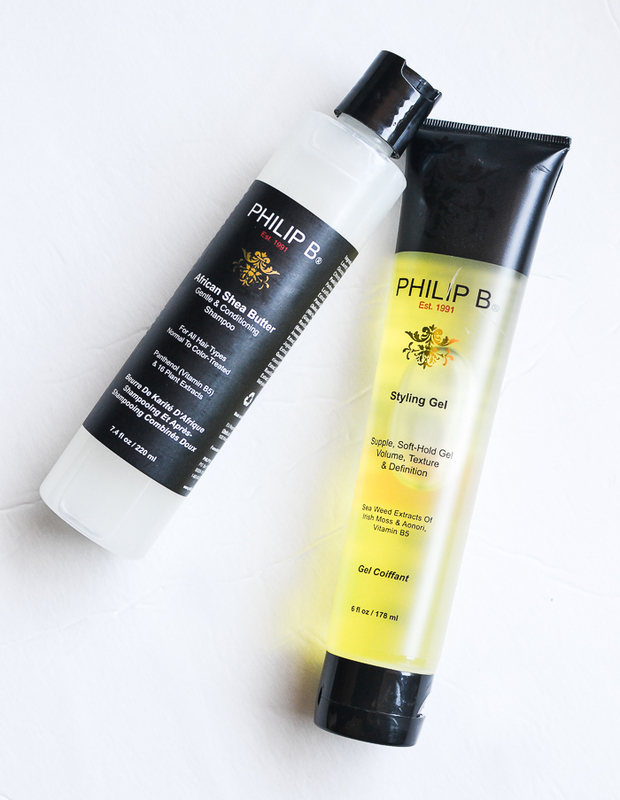 The Philip B haircare line has a lot of plus points - the use of plant extracts, no animal testing, and the expertise of an actual haircare expert in making these products - all of which definitely show up in the quality of the products. As a daily shampoo, the Philip B African Shea Butter shampoo is perfect, and the added conditioning ingredients makes this quite a gentle shampoo. As mentioned on their site: Any shampoo with a low pH (5 to 6) - which includes all PHILIP B® shampoos - will be kind to color. There is no way to prevent permanent color from fading, but the more conditioner in the shampoo formula, the gentler it is on color. For someone with color-treated her like I do, this would make a great pick for a daily wash. 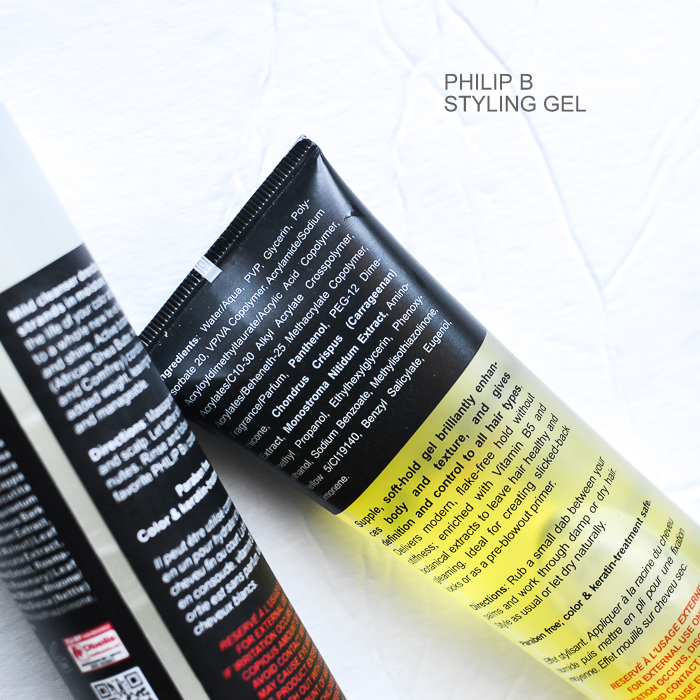 The Philip B Styling Gel is not a product I reach for very often, but it does a good job of providing a soft, supple hold and definition to my curls when I do use it. It's also great for keeping pesky flyaway hair in place.